A Washington state woman known for monitoring police scanners unknowingly live-tweeted about a fatal car wreck Wednesday, unaware at first that the victim was her husband. Caran Johnson, known in Portland-area social-media circles by her @Scancouver Twitter handle, posted “omg that is so horrible” after learning of a two-vehicle collision on I-205 in Vancouver, KOIN.com reported. 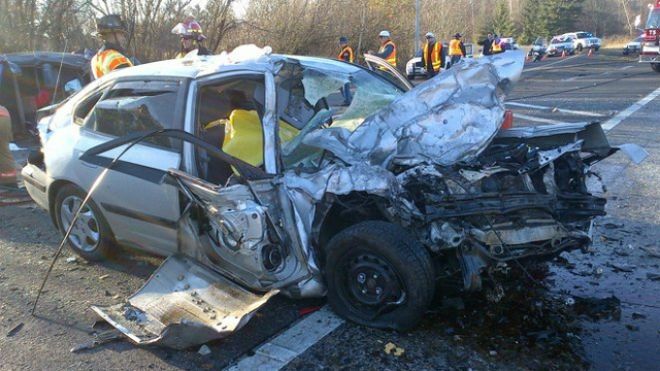 Her husband, 47-year-old Craig Johnson, was killed after the car he was driving crossed from the northbound lanes into southbound I-205 and struck a pick-up truck, authorities told the station. He was pronounced dead at the scene. Finn, who is responsible for Washington State Patrol’s official Twitter feed, said he knows Caran Johnson through social media and saw that she was trying to call her husband after the accident. “I’m trying not to panic, but my husband left work early and he drives 205 to get home. He’s not answering his phone,” Johnson posted Wednesday afternoon. Investigators told KOIN.com they are still probing the cause of the crash. Johnson tweeted earlier Wednesday that she had called her husband’s workplace and found out he was “feeling faint” when he left. A 54-year-old woman driving a second car involved in the accident suffered serious injuries and was taken to a local hospital, according to the report.